What makes a YouTube video good? 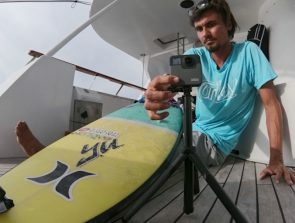 Using the right camera and microphone may give it a professional look, but having high-quality footage is not enough to engage today’s audiences. 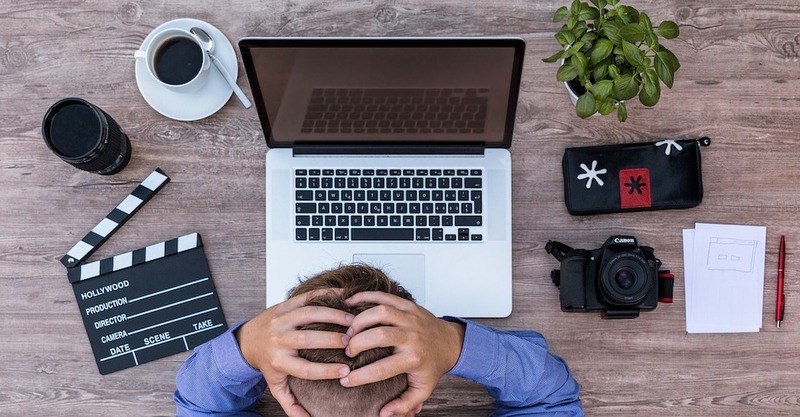 The videos you publish need to be engaging – they need to tell a story, keep viewers on the edge of their seats, and be just long enough to make them want more. Stitching together a successful YouTube video from hours of footage you’ve shot is an art form in itself. To do so, you’ll need vision and a powerful video editing program with which to realize it. In this article, we’re taking a closer look at the best editing software YouTubers use to create their videos. Read on to find out what each program can do and why they’re popular with small-fry content creators and household names alike. Which video editing programs do YouTubers use the most? The top three programs to use for YouTube video editing are iMovie, Adobe Premiere Pro CC, and Final Cut Pro X. The first is fantastic for beginner editors and is completely free. The other two are leading industry standards that have been developed for decades to become ever more flexible and powerful. Greats like PewDiePie, Guava Juice, or RomanAtwood swear by Premiere Pro’s professional arsenal while Casey Neistat, Logan Paul, and Alisha Marie use Final Cut Pro to create video magic. While the best-known YouTubers have moved on to software with more in-depth editing options, iMovie remains a mainstay of many content creators. It’s perfect for beginner YouTubers who are getting to grips with their first intros, transitions, and filter selections. iMovie offers some pro-level tools as well like matching the color of two clips and seamlessly adding special effects or transitions. Speaking of which, it is similar enough to Final Cut Pro to make the transition easier once you’re ready for more. iMovie’s greatest appeal lies in its accessibility. If you’ve got an Apple device that was built in the last decade, it’s free to download from the Apple Store! iMovie plays nicely with different movie formats including HEVC which makes using it with an iPhone easy. You just select the clips and send them to your Mac via Mail Drop. Or you can edit them from your phone or tablet directly as iMovie has a powerful mobile version too. 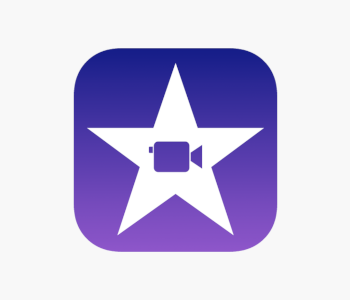 Newbies will quickly get their bearings in iMovie’s interface as everything is easy to understand. When you first open it up, you get prompted to create a new movie or trailer and can import your clips. These are then displayed on the left side of the workspace. You can drag and drop clips to the timeline below and they’re linked automatically. Cropping them, cleaning the footage up, or adding transitions with a few clicks becomes second nature by the time you’ve completed your first project. iMovie’s interface is clean and welcoming to newbies. There are only nine major buttons which contain an assortment of tools that are hidden away until you need them. The program also displays only the tools it thinks you’ll need for a given situation. For example, if you’re doing subtitling, it will replace the clip selection window with one containing many style and effect options for text you can type in and preview instantly. What makes it appealing to YouTubers? 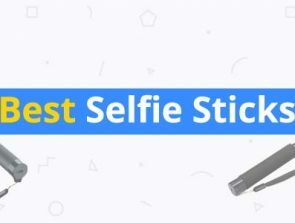 Apart from being easy to pick up, iMovie is praised by YouTubers for being rich in features and a great learning tool for both video editing and conceptualization. Equally important are its straightforward sharing options and the ability to project your creation onto other Apple devices. iMovie does a good job of touching up your content to look more professional. The simplest way of doing this is to select the Magic Wand and click with it on a clip. This will apply color and white balance settings iMovie thinks are appropriate. You can always tinker with these further if you don’t like iMovie’s interpretation. Adding special effects like a time-lapse or freeze frames is intuitive, as is giving your movie an artistic flair by applying filters. Trailers are another feature people new to movie making will appreciate. There are many trailer styles like adventure, holiday, or family at your disposal. Selecting one presents you with a storyboard outline which guides you in selecting appropriate clips, suggests the effects and transitions that would work best, and even tells you how long each clip should be for maximum effect. This guided approach teaches you about storyboarding and forces you to really think what kind of footage to shoot. Most importantly, your movies are better for it. iMovie is capable of producing movies in resolutions up to 4K at 60fps. Once a project is complete, you can save it locally or upload the video directly to YouTube. You can’t choose which format to upload it in though and are limited to MP4. iMovie ties in well with your Apple ecosystem and lets you play movies on any connected Apple device. iMovie is only available to Apple users. It also can’t handle more advanced filming techniques. If you were hoping to use a multi-camera setup or to shoot in 360 degrees, you’ll find iMovie lacking in support. It uses only two video tracks so more complicated video editing is out of the question. Still, iMovie is an incredibly powerful, not to mention free video editor anyone can pick up and get a solid understanding before moving on to bigger things. Premiere Pro CC is a professional-grade video editing software. Along with Apple’s Final Cut Pro, it is the accepted standard in movie and TV production. Pro YouTubers like using Premiere Pro as well because of its flexibility and the thousands of editing tools at their disposal. Premiere Pro CC is also part of a larger family of Adobe’s programs aimed at creatives which opens up even more options in putting together unique video content. For an editing program with so much to offer, Premiere Pro CC is accessible. You’re given a tutorial overview of major features when you first start it so even someone with limited video editing experience can get up to speed quickly. The default interface is easy to grasp and divided into four spaces for live and project previews, your source footage, and the timeline. These can be resized or moved. Other frequently-used tools can be pinned as well to create a custom working space. 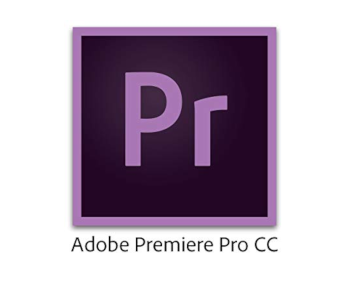 Adobe has taken a page out of Apple’s book and cleaned up Premiere Pro CC’s interface through constant updates. Much of the visual clutter has been removed from the main workspace and placed inside logically-structured menus. Workflow has been sped up drastically too by implementing touchscreen support. This lets you pinch to zoom in the live preview or crop clips in the timeline, drag & drop with your finger etc. A recent update has finally introduced the ability to open multiple projects at the same time. This lets you share resources between them. It is a godsend when you’re looking for a quick way to include old footage in a new video or speed up creation by applying assets you use frequently like your signature intro. Adobe has also implemented much of what you could previously only do in After Effects into Premiere Pro CC, saving you from having to pay a higher subscription. What makes it appeal to YouTubers? Premiere Pro CC gives YouTubers unparalleled customization options to tweak both the video and audio portion of their content. 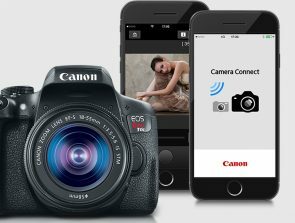 It works with virtually all video formats so you don’t have to pay attention to which camera you’re using. Larger YouTube channels with more than one person in charge of editing love it because multiple people can collaborate on a project and communicate their ideas through the program. Regardless of how deep you want to go into the video editing rabbit hole, the best reason to get Premiere Pro CC are its time-saving features. JKL trimming is the most noteworthy as it lets you watch a clip and edit it in real time just by using three keyboard shortcuts! Other major time savers include automatic audio & video syncing and applying effects on a clip which are kept no matter how many times you use it in a video. Premiere Pro CC gives you nuanced control over the way your videos look. Color gradients, light balance, and filters can all be precisely calibrated. You’re even able to target a portion of the video like just your face or the background and alter these settings for that part only. Audio is highly customizable as well. There are numerous equalizer and noise reduction settings which bring recorded audio into balance and clear it up in the process. The CC in Premiere Pro’s name stands for Creative Cloud, meaning that this is a cloud- and subscription-based service. On one hand, this is great – you get updates to the software as soon as they’re pushed out, and the $20/month annual subscription fee beats paying hundreds of dollars up front. On the other, you won’t be able to access any files saved to the cloud while you aren’t subscribed. Final Cut Pro X is more feature-rich and more complicated than iMovie. It remains intuitive to use, especially for people already familiar with how iMovie works. It’s the video editing program of choice for two million content creators and was used to create countless movies as well as some of YouTube’s most famous videos. 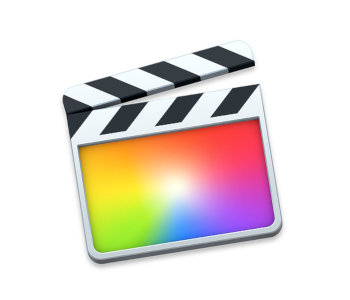 Superficially, Final Cut Pro looks much like iMovie. They share the same three-pane setup along with features like clips which snap together when added to the same video track. Its interface is clean and has a dark gray theme which keeps the projects you’re working on in focus. Much can be done to customize the layout to make it as simple or as intricate as you want. Sadly, you can’t move elements around or assign them to separate windows. Support for the Touch Bar is better than in iMovie. Every action like selecting filters or adding subtitles is accompanied by additional options you can select on the Touch Bar. These change as you switch to other tasks and provide more intuitive access to tools you’d otherwise have to look for in a menu. You’re given easy access to lots of professional transition effects, color correction options, and audio adjustments. If these aren’t enough, Final Cut Pro X lets you import additional ones. Even though they’re straightforward to use, these features are quite powerful. Audio editing is particularly thorough – you can have the program get rid of background noise automatically or add hundreds of free samples to your content with a few clicks. Final Cut Pro X excels at organization. From the way it handles libraries to how different tracks interact, everything is accessible intuitively. The interface lets you immediately know what an asset is being used for, how it ties in with other parts of the video, and gives you a quick way to locate it. Take roles for example. You can assign a role for each audio clip. There are presets like dialogue, music etc. and you can add unlimited custom ones. Once you add a role to a clip, it will become color-coded and more easily distinguishable in the timeline. When effects are applied to one asset with a specific role, others with the same role are affected too. Add to that the fact that Final Cut Pro has unlimited lanes coupled with a single magnetic timeline, and it’s easy to see how this can improve your workflow. Assets can also be organized into libraries. These are groups of assets you use frequently which are saved to the same disc location and are accessed simultaneously. You can create libraries by selecting already imported media or assign assets you’re accessing for the first time to a new one. This process helps streamline future content creation. While numerous advanced filters, editing option, and effects are supported from the main interface. YouTubers appreciate the simplified editing options you get while importing. You can tweak the colors or fix audio issues even before reaching the timeline! When it’s time to export, you can do so directly to YouTube in 4K or save the file locally in various formats. Final Cut Pro X occupies the sweet spot when pricing is concerned. 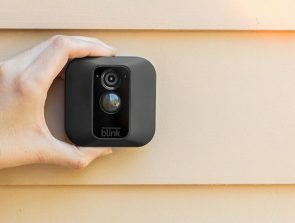 It’s a one-time purchase that will set you back just $300. There are no additional charges and you get instant access to updates. If you’re a PC user, you’re out of luck again since Final Cut Pro is exclusive to Apple devices. Newcomers to video editing won’t have trouble getting used to Final Cut Pro’s magnetic timeline. It may be tough for pros to transition to this approach since the timeline differs from other competing program setups. Are there other popular choices? PC users looking for free video editing software should download Lightworks as it offers the most comprehensive set of tools at no cost. The learning curve is steep, but you’ll be able to do almost as much as with premium software once you’re comfortable with it. You can support the developers by getting a paid version. Thankfully, this only adds more export formats while all of Lightworks’ editing capabilities are free. Casual YouTubers who are looking for ease of use love CyberLink PowerDirector for its Magic Movie Wizard. This step-by-step process helps you put together videos worthy of publishing in a matter of minutes! It’s perfect for family videos and vlogs you churn out on a regular basis. Once you’re ready to tackle the finer points of post-processing, you’ll find that CyberLink PowerDirector doesn’t lag behind other premium programs either. It’s great that Adobe caters to professionals and absolute beginners alike. Premiere Elements is aimed at content creators in the second category and costs only $100. It is the most streamlined video editing program and does a fantastic job of easing users who’ve never used video editing software into post-production. It comes with a video creation wizard, has a clutter-free interface with clearly-labeled buttons, and offers a set of in-depth tutorials that help you get used to a timeline-based workflow.